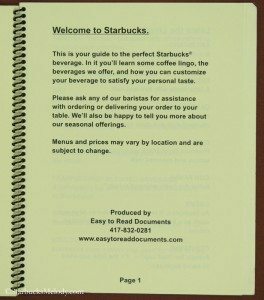 About four years ago, Starbucks produced a large print/ Braille book to help vision-impaired customers more easily read the menu and order. 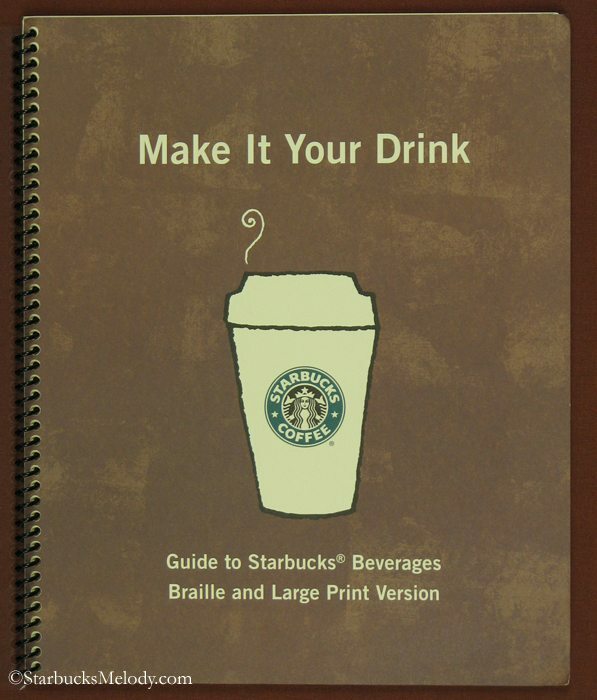 The official title of that 2008 book was Make It Your Drink – Guide to Starbucks Beverages Large Print and Braille Version. What a great idea! I think Starbucks should do another braille ordering book. A partner in Texas sent me one those books a long time ago, and I’ve been meaning to write about it for a while. 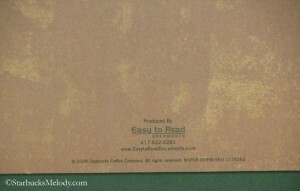 Some of you might recall, about one year ago Starbucks produced a braille Starbucks card. It would be a great idea to do another one of those too. 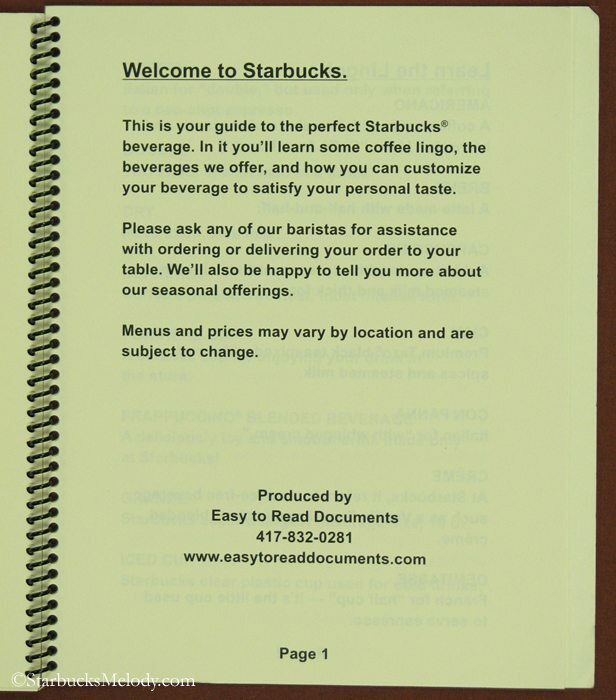 By the way, here is the official Starbucks blog article on the braille card launched in September of last year. 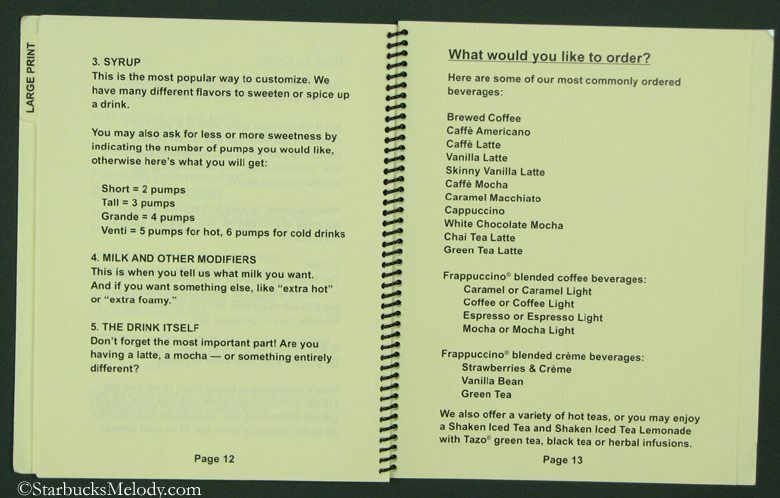 Should Starbucks produce another one of these? 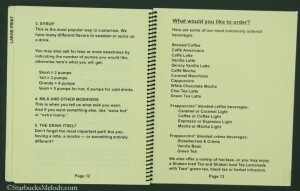 What tools would you want to see to assist customers with disabilities? 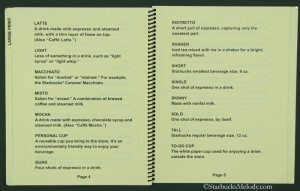 For more Starbucks history articles, browse the category of them. 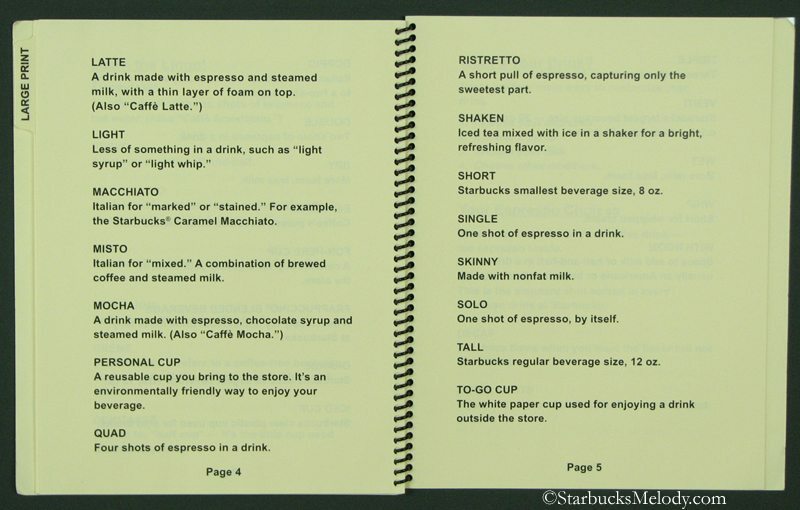 #TBT Do you remember Starbucks’ first feature film partnership? Wouldn’t it prove more useful to customers with disabilities if one of these books were available in the customer area instead of a partner having to “whip it out”? 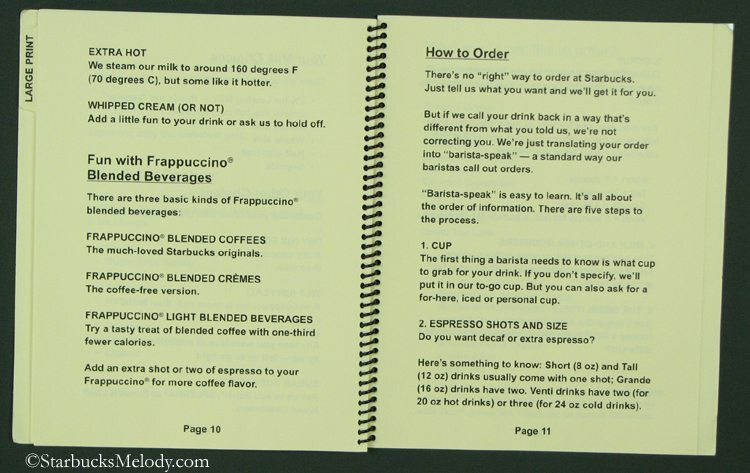 For someone unfamiliar with the Starbucks menu, ordering can seem intimidating enough, can’t imagine ordering a beverage if I was not able to read the menu. 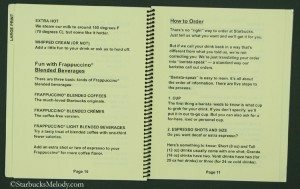 I wish SB would expand their options for customers with disabilities and I think this is surely a start and I agree with Suzanne C that it should be available for the customer besides having the partner take it out from behind the counter. I actually would like to see a sign to let those with disabilities know that they can see a menu if they need to and also wish there could be one partner or more trained in sign language on the floor. Great post. Good for SB for doing this. 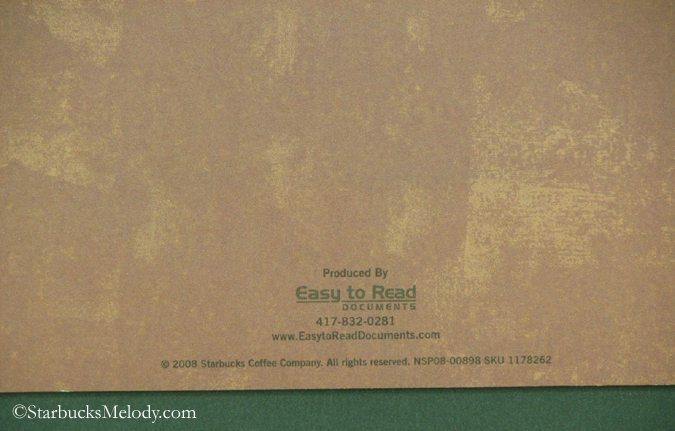 Ehm.. timely I suppose if you didn’t know Starbucks just issued a new one with the upcoming fall promo… I ordered a new one to replace my battered 2008 version as soon as the SKU showed up to order. 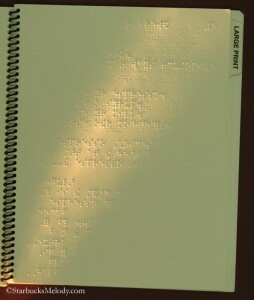 Additionally there is a picture menu available to address other types of accessability. I love it! 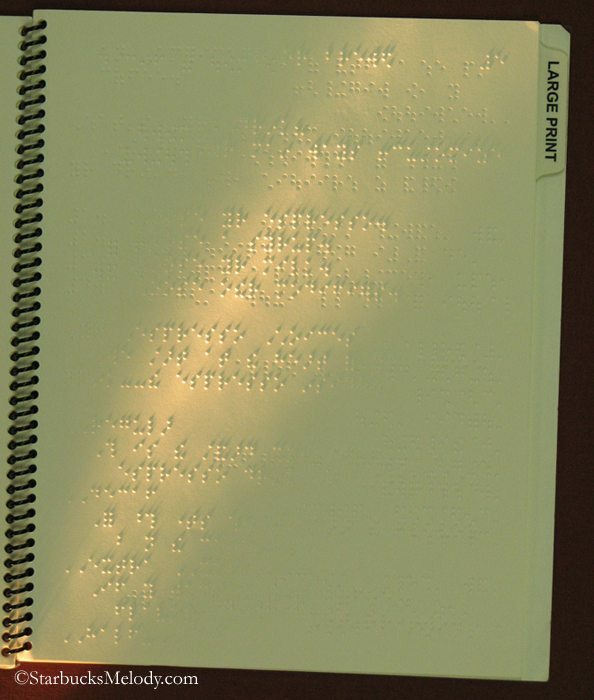 A concern for the visually impaired. That’s why I love my coffee.